« What is Obstructive Sleep Apnea? We know it’s exhausting to raise a little one – but so enjoyable, too! 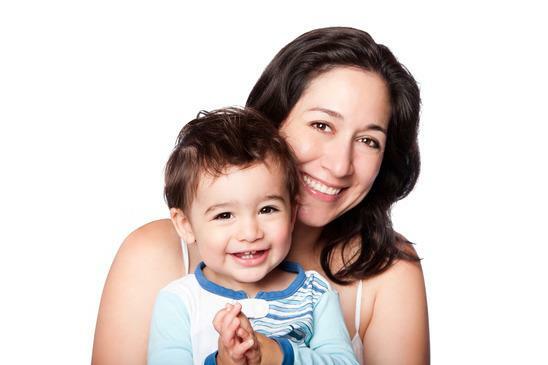 One thing that we hear a lot at Pointe Dental Group (we’re in Shelby and Grosse Pointe) is “What type of dental care does my baby or toddler need?” We wrote a blog about Dental Care for Babies – check it out for beginning lessons for your baby’s oral health. Teething is one of the most difficult rites of passage for small children, and although newborns usually do not have any visible teeth, teething can begin quite early. As teeth begin to erupt in your baby’s mouth, he may be fussy, agitated, unable to sleep, and irritable. Teething can also cause excessive drooling and reduced appetite. As soon as your child’s first tooth appears, schedule a dental visit. Things you can expect at your child’s first dentist appointment include a cleaning, exam, and discussions on teething, pacifier use, and thumb sucking habits. Pacifier use and thumb sucking in infants and young children is a common soothing practice and usually does not damage the teeth. However, be sure to clean your baby’s pacifier before each use to avoid bacteria being introduced into the mouth, and never dip your child’s pacifier in sugar, honey, juice, or milk as this can lead to tooth decay. Most children stop using pacifiers or sucking their thumbs by age four, but if your child continues beyond that point, it can cause problems with tooth alignment and bite. If you have a child over age four who is still using a pacifier or sucking his or her thumb, consult your dentist or pediatrician. Need to schedule your child’s first dental appointment or have a question about dental care for babies and toddlers? Pointe Dental Group can help! We have two convenient locations to serve you. This entry was posted in Pediatric Dentistry and tagged baby teeth, pediatric dentistry, teething, thumb sucking. Bookmark the permalink. Follow any comments here with the RSS feed for this post. Both comments and trackbacks are currently closed.